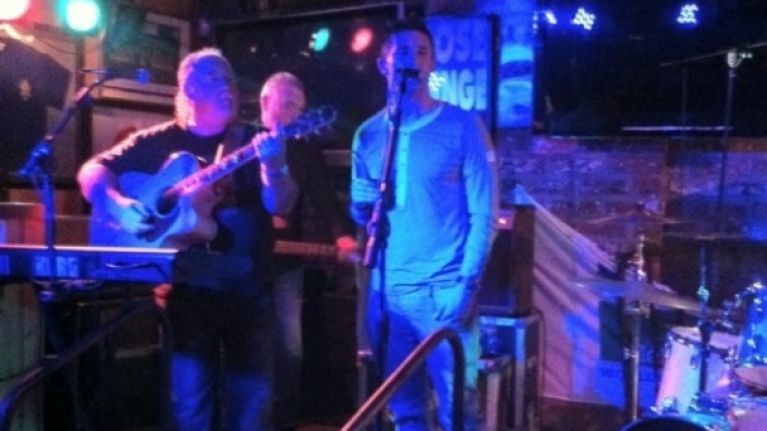 Video footage has emerged of Robbie Keane’s impromptu gig in Gibneys of Malahide last night, with the Irish skipper belting out a version of the Garth Brooks hit, Tomorrow Never Comes. Like the pictures that emerged earlier of Keane’s appearance at the venue last night, it is hard to tell definitively whether it is Robbie or not, but the constant references to his name and to the Boys in Green throughout the performance, coupled with his absence from an Irish training session this morning, would seem to suggest that it is the man himself. To be fair to Robbie, bar a couple of missed notes here and there, it’s not a bad performance. The crowd certainly seemed to like it. Former Irish international and new singing sensation Paul McGrath better watch his back! The choice of song would also suggest that it is the Irish captain. Keane is known to be a big fan of the Stetson-wearing country and western crooner and is believed to have belted out the same song at a party following his wedding to wife Claudine in 2008. If it was indeed Robbie, it wouldn’t be the first time he has taken to the stage at the Malahide venue, as the below clip of him singing the Fureys’ Green Fields of France attests. Robbie Keane, singing sensation. Who’d have thunk it?